Steel and concrete are the most important materials in the construction of multi-storey car parks. They are frequently used in combination with each other. For example, the steel structure can be used together with a composite floor of steel. Steel can be readily recycled. Galvanizing does not reduce this recyclability. Zinc too can be recycled. 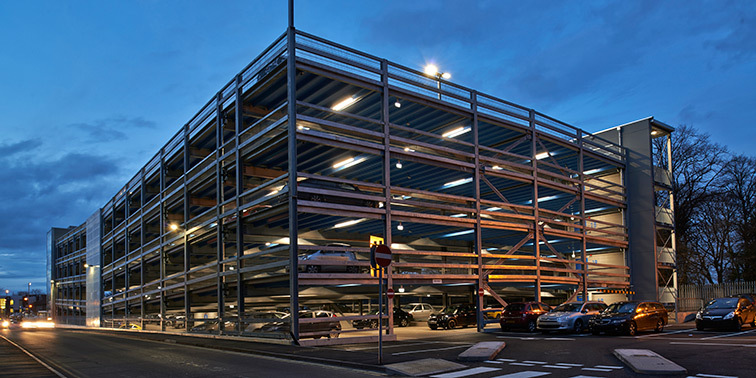 “Open-sided” car parks and decks are being built more and more frequently throughout Europe with a galvanized steel supporting structure and concrete/steel composite floor. Often “open-sided” cylindrical multi-storey car parks are built with galvanized partial cladding. Steel construction allows both prefabrication at the works and winter construction. Steel framed car parks have been rigorously fire tested in UK, Japan, USA and Australia. Tests show that most steel in open-sided car parks has enough inherent resistance to withstand effects of any likely fires. Where a section does not have sufficient inherent fire resistance it is usually more efficient to increase the section size than add fire protection. Car parks are potentially harsh environments. They are open to the elements in addition to the de-icing salts and vehicle exhaust fumes. Careful consideration needs to be given to durability. Hot dip galvanizing is an increasingly common and effective solution. Hot dip galvanizing provides the steel structure of a multi-storey car park with optimum protection against corrosion and so minimum maintenance costs. It may even provide sufficient protection for the entire life of the structure. Ease of entry and egress to and from stalls so that users can gain rapid entry and exit without the risk of damage to vehicle or person. A light and airy environment. The environment the car park provides will often determine how profitable it is. A light and airy environment should be on of the major goals of the car park designer. Steel is ideally placed to provide this type of environment because of its light-weight nature and long span capabilities. This can be further enhanced if open web sections are chosen. A safe and secure environment. 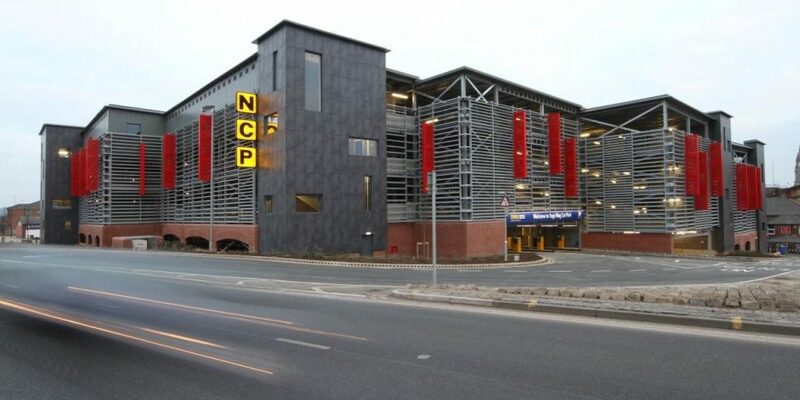 Today, personal security is high on the list of priorities for any building; car parks are no exception and due to their public nature they must be safe for users and their vehicles. A building with minimal internal structure will help to enhance the feeling of security by making the area as open as possible with few barriers to sight lines. The light and airy environment made possible with steel will help to enhance the feeling of security required of these buildings. A galvanized steel-framed design can meet all these criteria in an economic way.